This is Amma part of the Tajweed Quran, Part thirty, starts from sura "An-Naba' " till sura "An-Nas", it includes translations and transliteration into Spanish. Translation: meanings of the Quranic versus are translated into Spanish and placed on the margins around the Arabic text. Transliteration: Arabic letters are presented by Spanish letters with added symbols in order to give the same sound of Arabic letters. 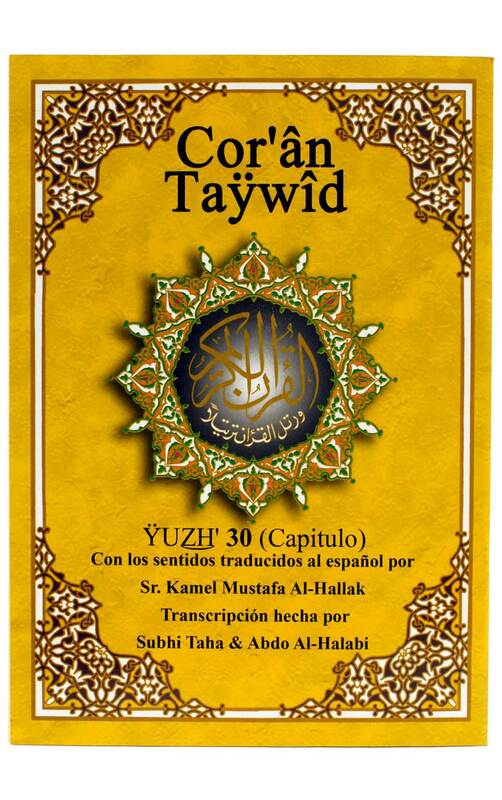 Spanish transliteration makes it easier for the speakers of the Spanish language to read the Tajweed Quran in Arabic pronunciation using the Spanish alphabet letters. Thank you very much for dispatching the order on time. It was safely packed an i received it in the given time frame. I am really happy with the service. There are many people here in US who speaks spanish I gave some to a near by islamic center, they really need it, easy to read and to understand with good quality and price.